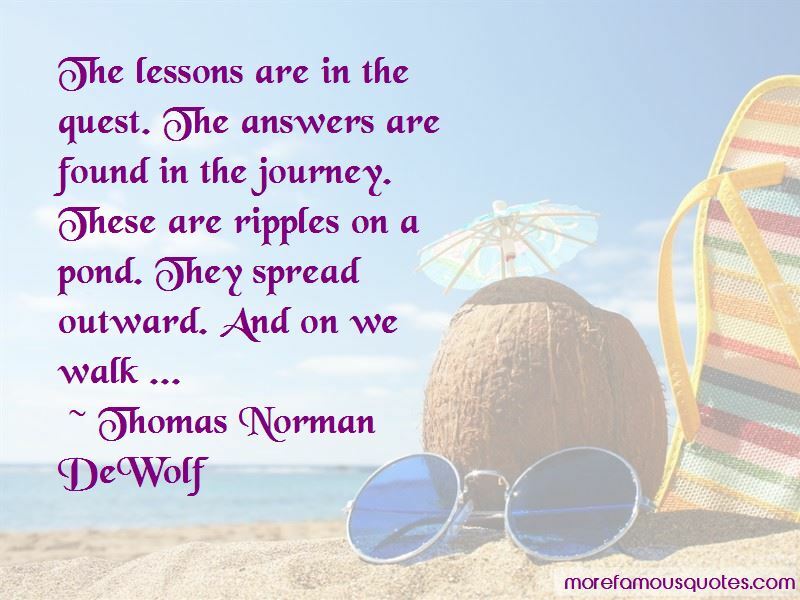 Enjoy the top 3 famous quotes, sayings and quotations by Thomas Norman DeWolf. We all inherit damage from the past. We spread it like a virus and don't generally think about it. Today's youth cannot escape the shadow of racism that has been passed down organically from parents and others who cling to a distorted image of American history, one informed by, and articulated from, a worldview permeated by white privilege. [sic], these biases are so hardwired that most of us have no idea how quickly and automatically they kick in and how enduring they can be. 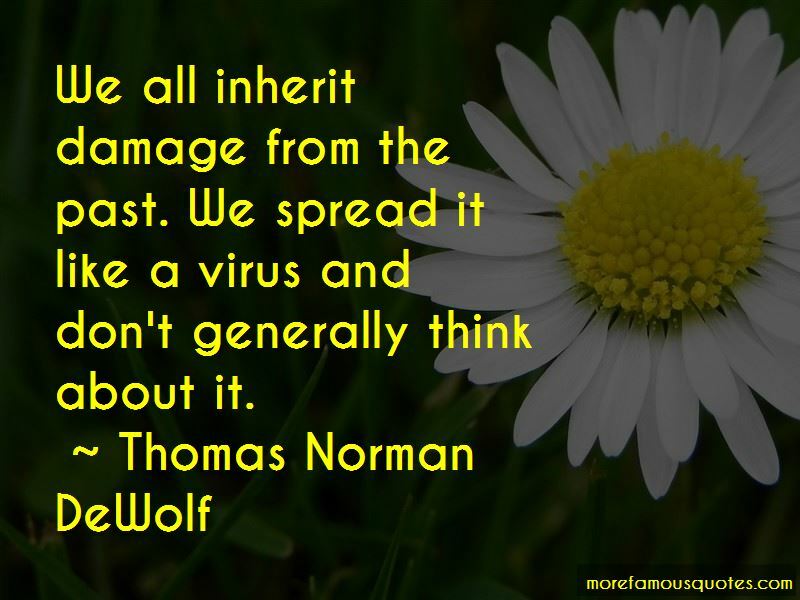 Want to see more pictures of Thomas Norman DeWolf quotes? 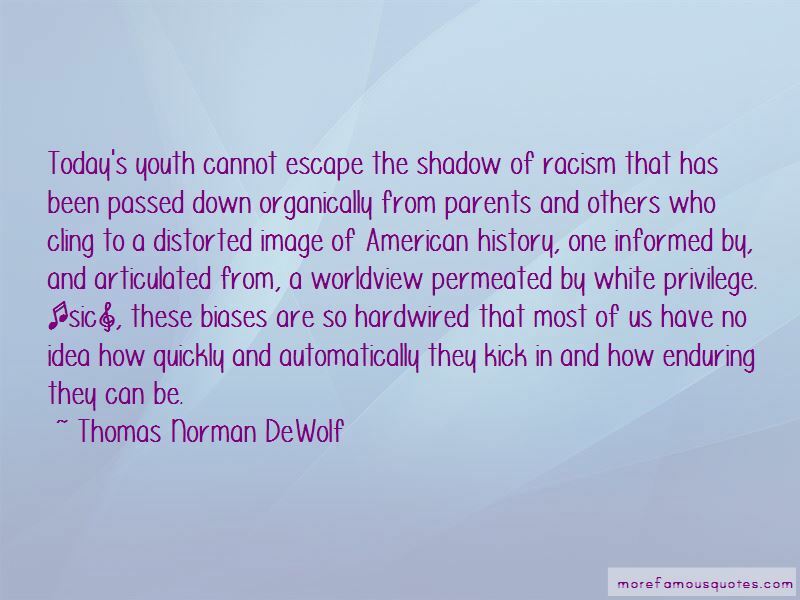 Click on image of Thomas Norman DeWolf quotes to view full size.